ArmorCoat™ Paulownia marries a naturally durable wood with a protective multi-coat oil and acrylic priming system. Paulownia is a fast-growing soft hardwood prized for its stability and workability. Paulownia regrows from its roots when harvested, which helps keep it cost-competitive. Despite its superior attributes, ArmorCoat Paulownia is the most reasonably priced primed FJ trim and fascia a lumberyard can stock. Paulownia exhibits virtually no splitting, checking, or cracking, making it an ideal substrate for fingerjoined trim. Paulownia is a great wood for priming and painting because there is no raised grain. The wood remains stable in humidity and experiences little shrinkage or expansion compared to other species. 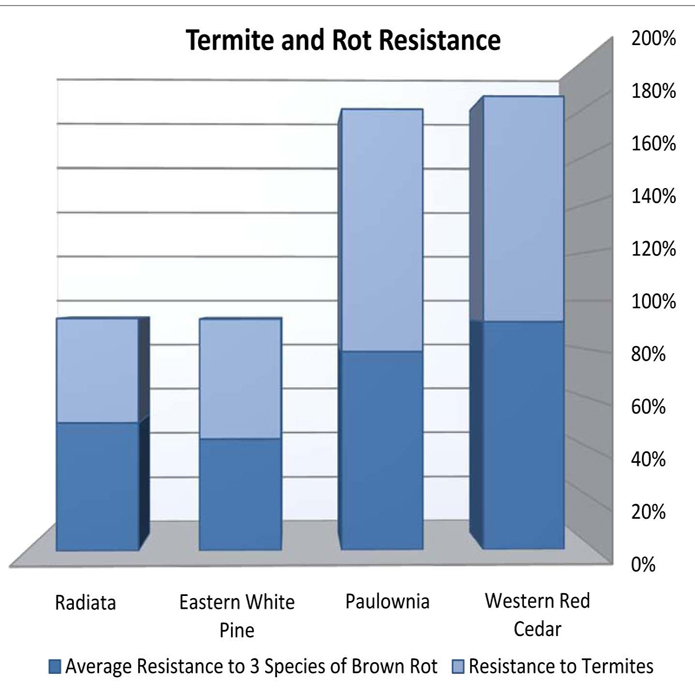 Paulownia’s natural, chemical-free resistance to termites and rot makes it ideal for exterior as well as interior use. Paulownia is lightweight and weighs about the same as cedar, making it easy to work with. A rapidly renewable resource, Paulownia also rehabilitates nutrient-depleted soil. With an exceptionally high rate of carbon-fixing, Paulownia is considered an ideal reforestation tree for controlling greenhouse gases.